Email has become an important part of our life. It is so important but left untamed, it can also take over too much of our time. If you are like me, and have multiple devices for checking email; smart phone, note book, netbook, desktop and iPad (whew!) just keeping all devices up-to-date can be a full time job! Time management is important to me so I started looking for a solution. I researched a simple, readily available option that is also FREE! My solution was Gmail. Over the past year Gmail has become my main email platform. I no longer use Outlook and frankly can't believe it took me so long to convert! Gmail offers personalized configuration options, multiple accounts can funnel into one dashboard, each account can be responded to by it's own address and you never have to delete anything! Use the power of Google to search for keywords in mails you need. In addition, once you have a Gmail account you have the passport to dozens of powerful Google applications, documents, photo sharing, calendar, Groups, maps and on and on! To get started, here's a slide show of what you can do to begin organizing your life in the Google cloud. Google Has a Voice and I Love it! Gmail, I Bet You Didn't Know It Did This! 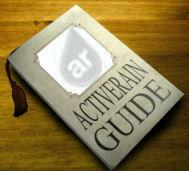 ActiveRain RainCamp - Better Than SummerCamp For Kids!